Last year live pitch sessions were introduced to the Promo Day event and resulted in several authors having success. 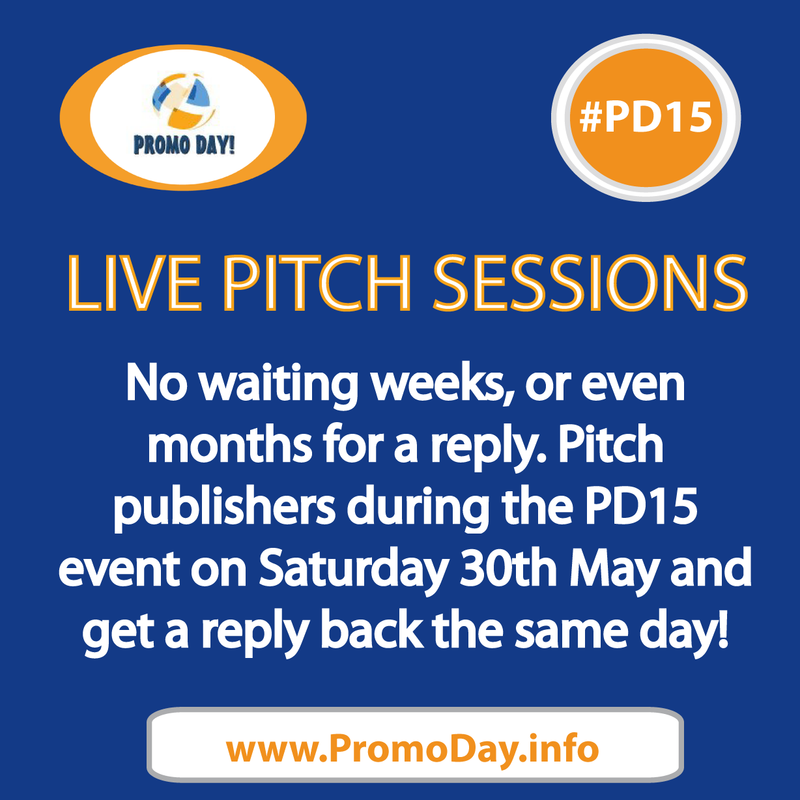 This year the pitch sessions will therefore be returning during the PD15 event on Saturday 30th May. So how do the pitch sessions work? Each participating publisher will have a thread in the the forums where they will post their guidelines. Authors can then send them their pitch in a private message via the forums though out the Promo Day event. There are no fixed time slots. You can send them your pitch at any time during the event. The publishers will then read through all the pitches and send you a reply by the end of the day to let you know if they are interested or not. If interested, they will then give you details about the next step in their submission process. No waiting for weeks, or even months, to get a reply. No need to hire an agent. You simply send in your pitch and get an answer back the same day. Everyone who is registered to attend the Promo Day event will be able to take part in the pitch sessions.